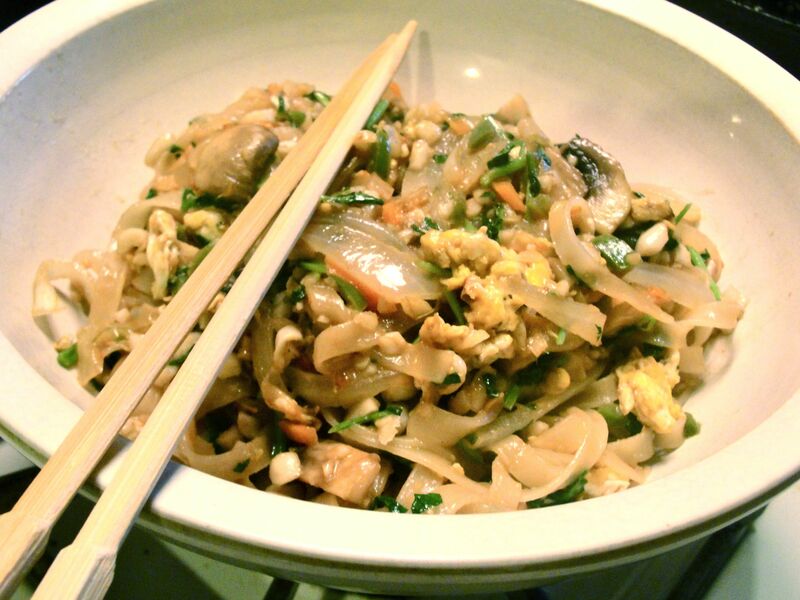 Here’s a quick vegetarian, and potentially gluten-free, noodle dish. 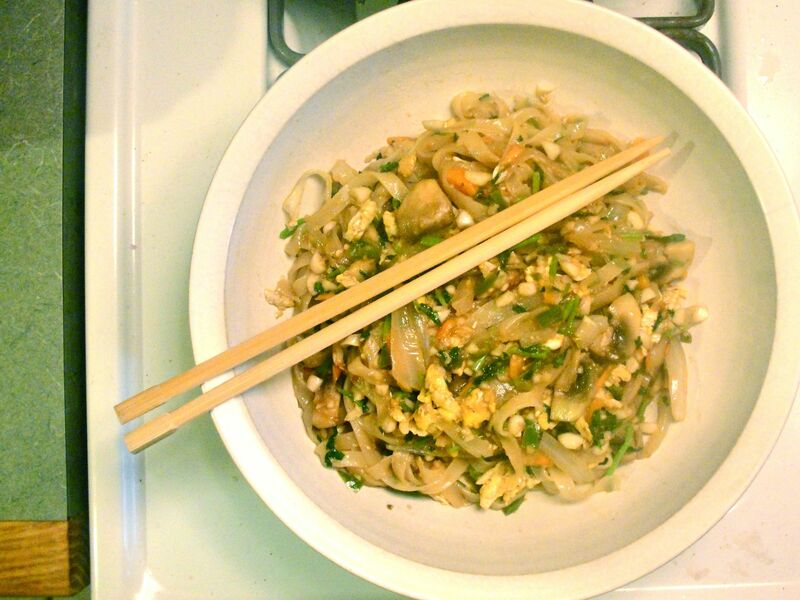 To prepare: place rice noodles in warm water to soften (20-30 mins.) I used rice noodles that were approximately 1/4 inch wide, but wider noodles would work well too. Sauté vegetables in canola or peanut oil to desired tenderness in a large pan or wok; for this dish I used matchstick carrot, sliced white button mushroom, sweet onion, and minced shallot, adding a portion of the sauce as well. Remove the vegetables from the hot pan and set aside. Quickly scramble an egg in oil in the pan, and place it with the vegetables. To finish, return sautéed vegetables to the warm pan, add any remaining sauce, add chopped fresh cilantro and chopped peanut and combine thoroughly.